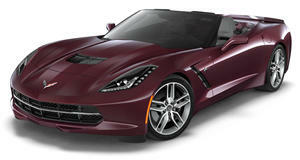 Is There a Bug in the Corvette Stingray's ECU? Some new owners seem to think so and complaints are showing up on GM forums. As if GM’s woes couldn’t get any worse, something like this just had to come along. In addition to the more than 4.8 million cars recalled so far, another recall is about to be issued. Only this time it’s happening to the automaker’s flagship. 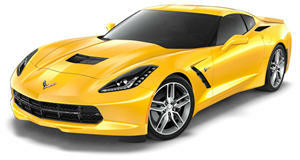 Owners of the newly launched Chevrolet Corvette Stingray have recently been experiencing stalling issues. Several have posted on GM forums that when they made a full stop at a traffic light, the car stalls. At first it seemed like the engine’s cylinder deactivation system was malfunctioning, but GM engineers now aren’t so sure. And no, drivers simply aren’t stalling because they don’t know how to use a manual gearbox; both automatic and manual-equipped Vettes have had this same problem. The overall consensus so far amongst C7 engineers is that there’s a bug in the engine control unit (ECU). Could it be an ignition switch issue? "No, not at all," says C7 lead engineer Hugh Jasoles.